Rush For Ice Cream! 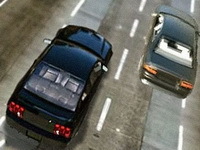 Use arrow to avoid obstacles and cars. Drive trough rough snowy mountains, get upgrades for your buggy, upgrade your engine, balance our a set of your finest off road wheels. Mario is on a new mission to save princess Peach, but his enemies are more powerful than ever. They are shooting from every direction, that is why Mario also had some upgrades to do and he bought a new tank.